Every blogger definitely wants his blog to be visited by people. There are many ways you can do to get a lot of blog traffic. Whether it's free or paid. Some web owners or bloggers to get in large numbers, are willing to spend time on blogwalking. This sometimes feels saturating and you must have strong enthusiasm to be able to do it regularly. But there are also other ways that can be done other than by way of blogwalking. 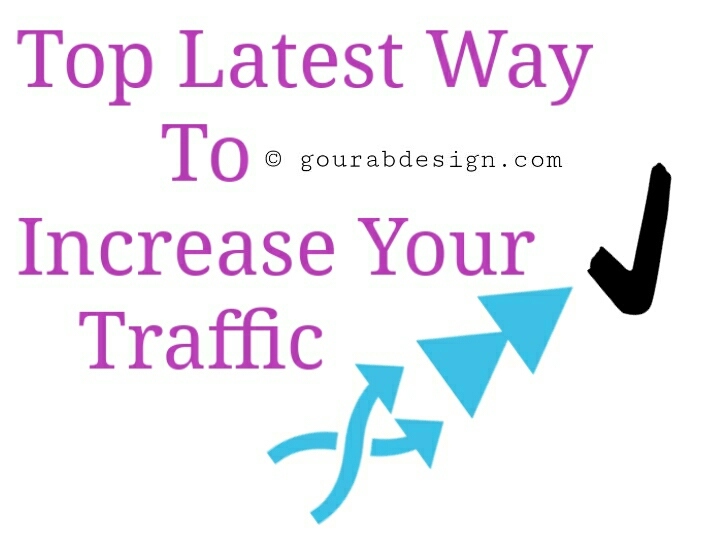 How do you generating blog traffic for blog quickly? Below will be explained some tips that can be taken to get folowers to a website or blog. Here are 5 tips you can use. The first tips that can be done to obtain large amounts of readers is to create quality articles. That is, the article is self-made (not copy paste), and as much as possible for writing that is needed by many people and can be helpful and useful. In addition, it is better to create articles with long content. Then, how to create articles that are sought after by many people? You can do this by looking at a number of blogs that fit your niche. Then, look at the popular post widget if there is one. If it's not there, you can also see the articles and look for those who have a lot of comments in them. If you have found it, make an article on your blog with a similar topic. Another way can be with the help of Google Trend. There you can see hot news that many people are looking for on a specific date according to the language chosen. For better results, make a large number of articles and regularly update your blog. By containing quality articles, visitors will think of returning to visit your blog or website later. Is this enough? Certainly not. If you already have a lot of quality articles but after that do nothing, the blog will still be quiet. Well, the next step that can be done can be seen in the following tips. One of the best ways to run the correct SEO (Search Engine Optimization) technique. Many SEO techniques that can be learned and applied to your blog. But no less important is the quality article as explained in the first point above. Also regularly update the latest SEO tips to keep optimizing properly. Google for example, has changed the search algorithm for several times to maximize the search results. If you succeed in optimizing web SEO, then the chances of being in the top 10 search engines will be even greater. In addition to doing search engine optimization, another way to find traffic is to share articles to social media sites, such as Facebook, Twitter, Google +, and many more. Articles can be shared not only by you, but also by readers with a note of having a social networking account. To make it easier, install the share button on each article. The more you share your article through the share button, the greater the your watchers that can be obtained from the relevant social media sites. To maximize visitors from social media, create an account or page specifically for your blog. On this page you can form a community by displaying the URL to your blog. If the community or the number of followers is getting bigger, if you have question like that how get visitors to your blog then you share the article to the page so your chances of getting from social networks are also getting bigger. This method is also done by many people because it is instant enough to get visitors. It's just that to advertise you have to pay to the web owner. If you want to advertise on more sites, the budget you have to spend will also increase. Although there are also places for free advertising, such as classified ad sites. However, visitors are certainly not as optimal as paid advertising. If you want to place a paid ad, pay attention to the amount of web followers where the ad will be installed., the more can be obtained through the web. In addition to ordering the web owner, you can also order advertisements for Pay Per Click (PPC) sites. The payment method is based on the number of clicks on the ad. Users who register on the PPC site consist of two types, namely the advertiser and the publisher. On this site you must register as an advertiser to be able to advertise. While the publisher is the owner of a blog or website that will display advertisements that have been ordered to the PPC site on the website they have. So here your ad will appear on many websites. PPC sites that are widely used today to advertise are one of the services from Google, Google AdWords. If ordering on Google Adwords, your ad will not only appear on the publisher's website but also on the Google search page if it matches the keyword that is being searched. Blogwalking is the activity of visiting other people's blogs, then leaving traces or comments. With blogwalking you will usually feel the impact quickly. However, this method has its drawbacks, namely its temporary nature. Blogwalking is a good way to find blog traffic. Because besides being able to get visitors quickly, you will also show interaction with other bloggers. This can be an opportunity to get acquaintances among fellow bloggers, especially if the blog visited has the same topic as your blog. This method is directly proportional to whether you are diligent or not. That is, if you want to get backlink in large numbers by way of blogwalking, you also have to do it diligently. When blogwalking leave the blog url where you did it. If you comment you should not do it carelessly but according to the content of the article you are reading. That's How to Increase Blog Visitors Easily. To be able to receive maximum results, do the above methods consistently. That's the first time this article was written. May be useful.